Anyone who hasn’t endured shock therapy to erase the memory of last winter along the East Coast will surely greet the latest forecasts of the coming fall with a mixture of fear and loathing. Yes, dear reader, we are heading for another prelude to snowmaggedon: A Maritime autumn of brilliant colours, sparkling skies, pumpkin pies, and then a picture of me standing on a glacier that was once my driveway in downtown Moncton, shovel in hand, maniacal grin fixed to face, wild eyes cast heavenward, and a guttural invocation issuing from trembling lips. Last February, my wife and I spent a balmy 11 days in nearby Charlottetown looking after our kids’ kids (ours had skipped off to Costa Rica for a well-deserved sojourn involving horseback riding and beach combing). What began as a routine “mission impossible” for us, the grand parents, quickly devolved into a mission from hell. The snow began on a late Sunday and didn’t stop until mid-Tuesday. When it was over, 90 centimeters of the white stuff had fallen within 36 hours. Roads were impassable. Shovels were pilfered. The city was at a standstill. Only stores of milk and games of monopoly kept us going. 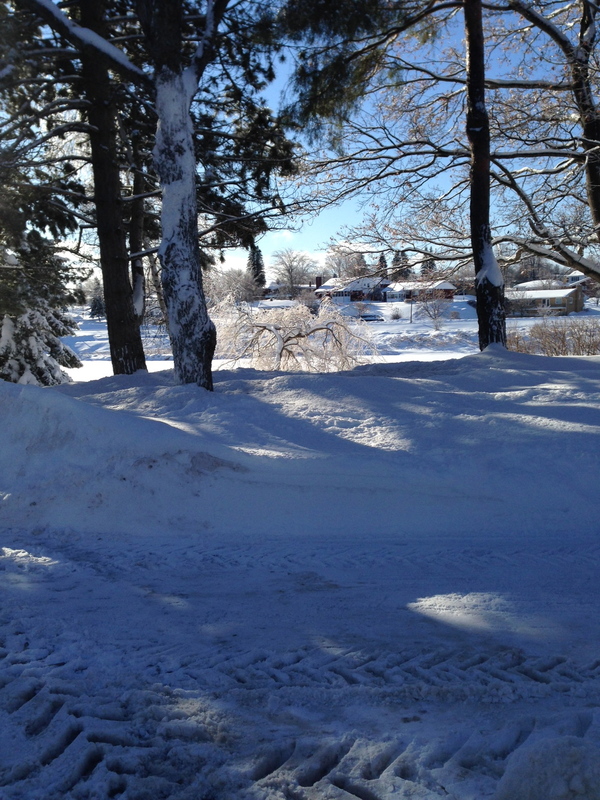 Finally, it was time to travel back to Moncton, there to see what obscenity the weather had wreaked on the home front. As we careened up our street, which had been reduced to less than one lane of traffic, we agreed it could have been worse. After all, our city had received a mere 66 centimeters in that particular tempest. We would take the win – until, of course, we attempted to hike the heat. Here’s the thing about natural gas furnaces: They like snow and ice about as much as my wife and I do. The only difference between them and us is that they shut down, while I am inclined, in prone position, to dig out the various inflow and outflow valves so as to guarantee not freezing to death in my own house – in, by the way, yet another blizzard. And so it continued for weeks; and, if the predictions are correct, it will continue apace this winter. That’s climate change for you, or, perhaps, just the luck of the meteorological draw. As for Atlantic Canada. . .well, we’re not so lucky as to be so certain. Still, maybe our permanently hard winters represent an economic opportunity: winter tourism, anyone? After all, if snowflakes were dollars, all New Brunswickers would be millionaires by now.